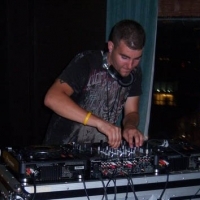 Brian Flinnâ€™s original productions and remix work which have commanded attention from several overseas labels Echelon Records, Inspired Records, Trance All-Stars, CrossAir Recordings and Recoverworld. He first got exposed to dance music at the age of 13 and that sparked his interest in producing, at the age of 15, some of the producers behind this music that influenced him so much were Victor Dinaire, Armin Van Buuren, Simon Patterson, Sean Tyas & Tom Colontonio and at 17 he began learning to mix records honing this skill quite well. With high aspirations of one day joining the ranks of the biggest names in the industry such as one of his favorites, Simon Patterson, his love for driving, hard hitting basslines makes him a great peak hour contender spinning melodic, energized Tech Trance, some Progressive hits from time to time and even some dubstep if the moment calls for it.